Chief Ibori was the elder brother of a former Governor of the state, James Ibori. He reportedly passed away very early Thursday morning. Reacting to the news of Ibori’s death, Olorogun Williams Makinde, the Managing Director /CEO of Delta State Oil Producing Areas Development Commission, DESOPADEC, described the late High Chief William Ibori, the Unugbrogodo of Ogharefe Oguedion, as a bridge builder. In a press statement through his Personal Assistant on media, Comrade Owen .O. Edafe, Olorogun Williams Makinde said, “I received, with profound grief, the news of the passage‎ to eternal glory of High Chief William Ibori, the Unugbrogodo of Ogharefe Oguedion elder brother to our national leader and mentor Chief James Onanefe Ibori. “Late High Chief William Ibori was an exemplary leader and father who was highly revered and respected across the State because of his love for peace and knack for conflict resolution. He was indeed a peace-loving father figure, a stabilizing force and courageous bridge builder who devoted so much energy to not only bringing communities closer but also ensuring rancor-free politicking by uniting politicians of divergent principles and proclivities. “He was in a class of his own as a cultural aficionado; a devotee of his people’s tradition, who gave so much of himself in serving as the Unugbrogodo of Ogharefe Oguedion. 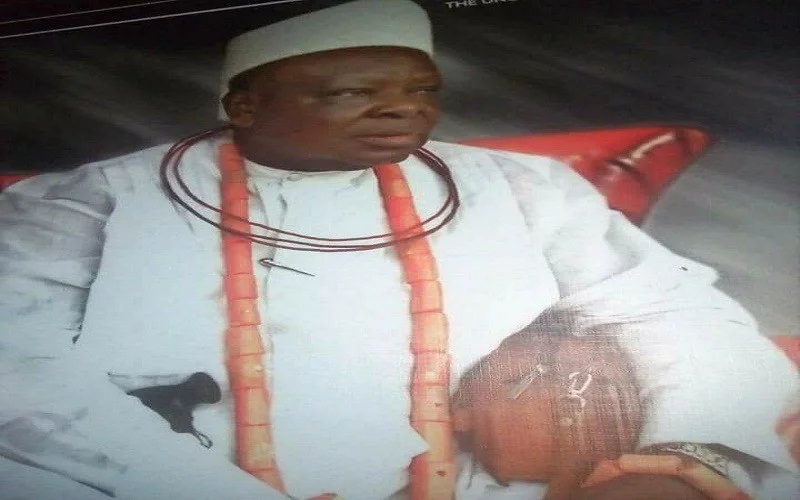 “He also acquitted himself as a highly principled elder statesman and a High Ranking chief of Oghara kingdom, who remained committed to the cause for Delta state unity, growth and renaissance.